1Department of Obstetrics and Gynecology, Sultan Qaboos University Hospital, P.O Box 35, Al-Khoud 123. Muscat, Sultanate of Oman. 2Assistant Professor and Head of Department, Department of Obstetrics and Gynecology, Sultan Qaboos University, P.O Box 35, Al-Khoud 123. Muscat, Sultanate of Oman. *Address correspondence and reprints request to: Maryam Al-Shukri, Department of Obstetrics and Gynecology, Sultan Qaboos University Hospital, P.O Box 35, Al-Khoud 123. Muscat, Sultanate of Oman. Al-Shukri M, Al- Ghafri W, Gowri V. Pelvic Nodules in a Gynecologic Patient. Oman Med J 2013 Jul; 28(4):292-293. A 27-year-old female presented with severe dysmenorrhea and primary infertility. She had past history of post-traumatic splenectomy but was otherwise healthy. Her pelvic ultrasound was normal. She had a diagnostic hysteroscopy, laparoscopy, and a tubal patency dye test. On laparoscopy, there were multiple fleshy looking, red with blue hue nodules. In between, there were few scattered dark blue nodules on the anterior surface of the uterus, the visceral peritoneum, uterosacral ligaments, left ovarian fossa, and sigmoid colon. There were no significant adhesions. Some of those nodules were excised. The ones left behind were those in tricky anatomical locations like on the sigmoid colon and the ovarian fossa. The excised nodules were sent for histopathological confirmation. The patient made unremarkable recovery. 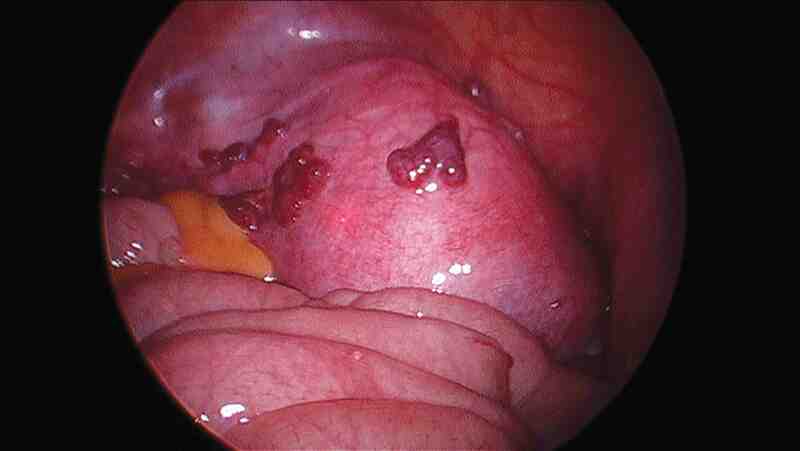 Figure 1: A laparoscopic picture: Distinctive nodules on the uterus. Figure 2: A laparoscopic picture: A close-up look at the nodules on the left side of uterus and broad ligament. 2. How do you differentiate between the possible diagnoses? 1. Possible diagnoses are; endometriosis and splenosis. The appearance is not consistent with malignant nodules. 2. History is important to elicit history of splenic trauma. 1. Fleming CR, Dickson ER, Harrison EG Jr. Splenosis: autotransplantation of splenic tissue. Am J Med 1976 Sep;61(3):414-419. 2. Case records of the Massachusetts General Hospital. Weekly clinicopathological exercises. Case 29-1995. A 65-year-old man with mediastinal Hodgkin’s disease and a pelvic mass. N Engl J Med 1995 Sep;333(12):784-791. 3. Fremont RD, Rice TW. Splenosis: a review. South Med J 2007 Jun;100(6):589-593. Review. 4. Rickert CH, Maasjosthusmann U, Probst-Cousin S, August C, Gullotta F. A unique case of cerebral spleen. Am J Surg Pathol 1998 Jul;22(7):894-896. 5. Kwok CM, Chen YT, Lin HT, Su CH, Liu YS, Chiu YC. Portal vein entrance of splenic erythrocytic progenitor cells and local hypoxia of liver, two events cause intrahepatic splenosis. Med Hypotheses 2006;67(6):1330-1332. 6. Zvi V, Moti P, Mendlovic S, Arie H, Maymon R. Pelvic splenosis–a gynaecological challenge. Reprod Biomed Online 2009 Mar;18(3):421-423. 7. Zitzer P, Pansky M, Maymon R, Langer R, Bukovsky I, Golan A. Pelvic splenosis mimicking endometriosis, causing low abdominal mass and pain. Hum Reprod 1998 Jun;13(6):1683-1685. 8. Zvi V, Moti P, Mendlovic S, Arie H, Maymon R. Pelvic splenosis–a gynaecological challenge. Reprod Biomed Online 2009 Mar;18(3):421-423.